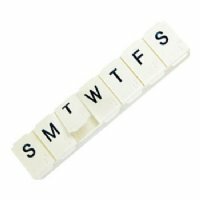 A daily pill organizer for 7 days of no worries and managing your pill regiment. The pill organizer can go with you anywhere you need to go. Large - 5.625" x 1.125" x .75"